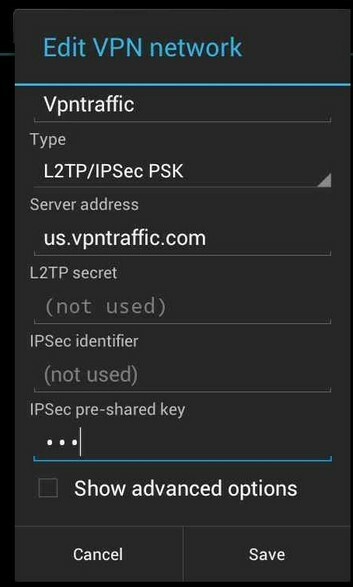 This tutorial walks through the necessary steps on setting up a L2TP/IPSec (PSK) VPN connection on Android's Ice Cream Sandwich (ICS) devices. There is nothing to download, thanks to the built in L2TP/IPSec client on Android IcS. 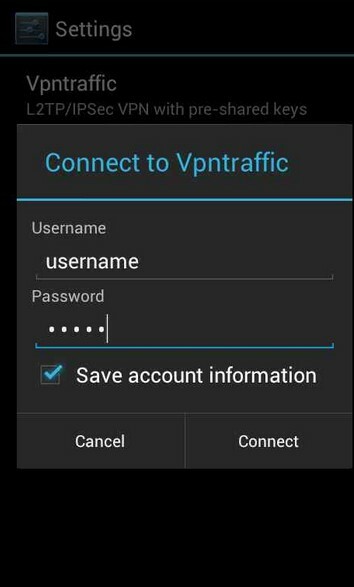 Name: We'll call it "Vpntraffic L2TP/IPSec" in our example, but it can be anything to help you remember the VPN connection. Type: Select "L2TP/IPSec PSK" from the dropdown menu. You should see your newly created connection listed under "VPN". Tap the connection name, and you will be prompted for your username and password. 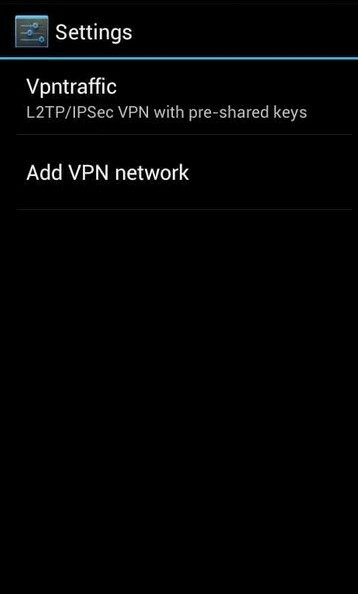 You should be back at the main "VPN" screen, and once the connection is successful you'll see a status of "Connected" under your connection name. The the connection name once conncted and you'll be able to see more details about your VPN connection status.